David Rodriguez, who recently graduated from San Francisco State University, leaves his IRW internship and heads to a public-radio station in Los Angeles. Flying from Los Angeles to Washington, D.C., for an internship was a nerve-racking way to start my year. But that jump for a data journalism internship with The Investigative Reporting Workshop at American University was the best choice I’ve made this year. Despite growing concern about the effects of fake news, most Americans oppose government intervention, according to a new Pew Research Center survey. Pew found that 58 percent of U.S. adults surveyed did not want the government involved in limiting made-up information, while 39 percent favored government action. However, 56 percent supported technology companies taking a role in limiting fake news. A judge in Myanmar has refused to dismiss a case against two Reuters journalists accused of violating the country’s Official Secrets Act by reporting on the massacre of 10 Rohingya Muslims. U Wa Lone and U Kyaw Soe Oo have been jailed since December and could face up to 14 years in prison under the British colonial-era secrets act for reporting on the killings, which occurred in the Rakhine state. 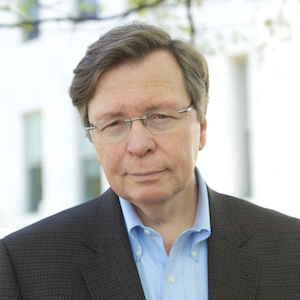 Investigative Reporting Workshop founding executive editor Charles Lewis has been awarded the I.F. Stone Medal for Journalistic Independence. The Investigative Reporting Workshop’s own Charles Lewis is receiving a major award for his support of investigative journalism. The Nieman Foundation for Journalism at Harvard University is honoring Lewis, IRW's founding executive editor, with the 2018 I.F. Stone Medal for Journalistic Independence. The award honors investigative reporter I.F. Stone and goes out annually to a journalist whose work captures the spirit of journalistic independence, integrity and courage that characterized I.F. Stone’s Weekly. The Investigative Reporting Workshop is proud of all the work our fellow nonprofit newsrooms across the country are accomplishing. Here are a few samples of their latest work. A March 26 article from the Texas Tribune tracked suspensions in the state’s school system, some for students as young as 4 years old. The investigation found the suspensions were disproportionately affecting students who are racial minorities. A March 26 article from the CIR found multiple states are putting voter information at risk by using an ineffective system to uncover voter fraud.